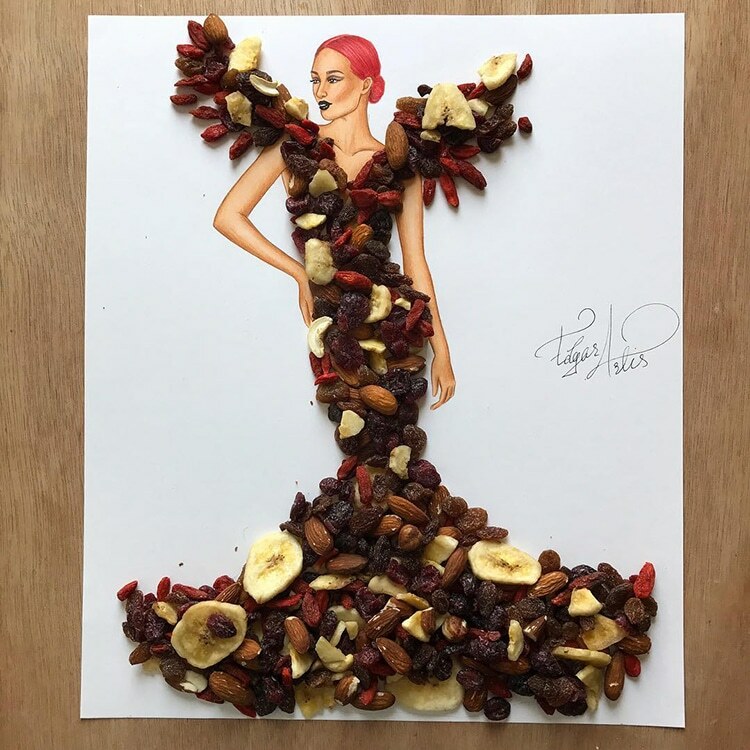 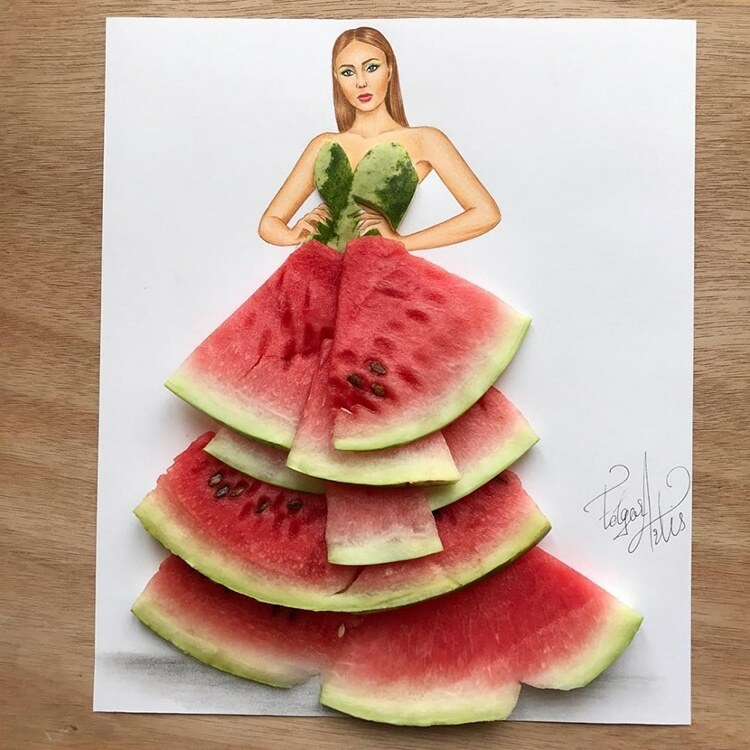 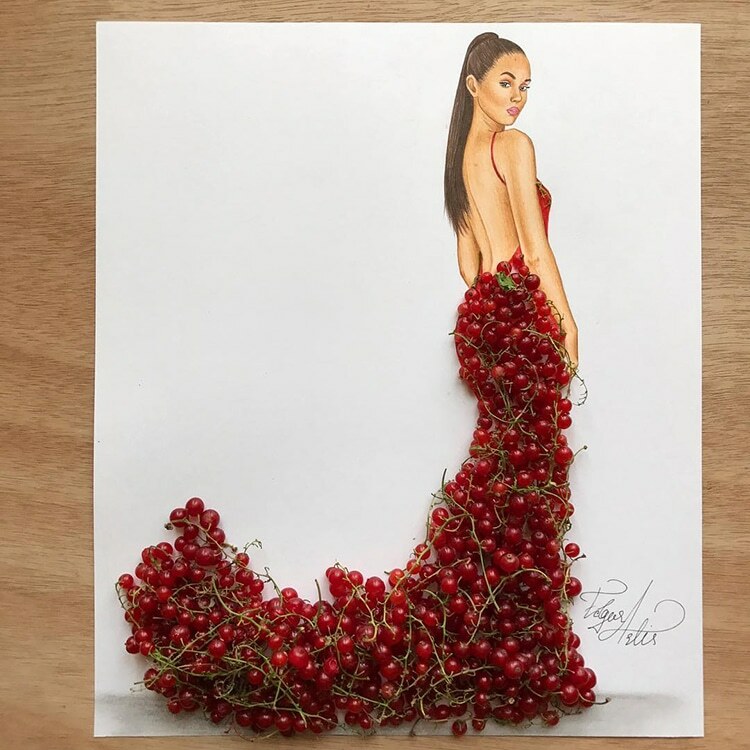 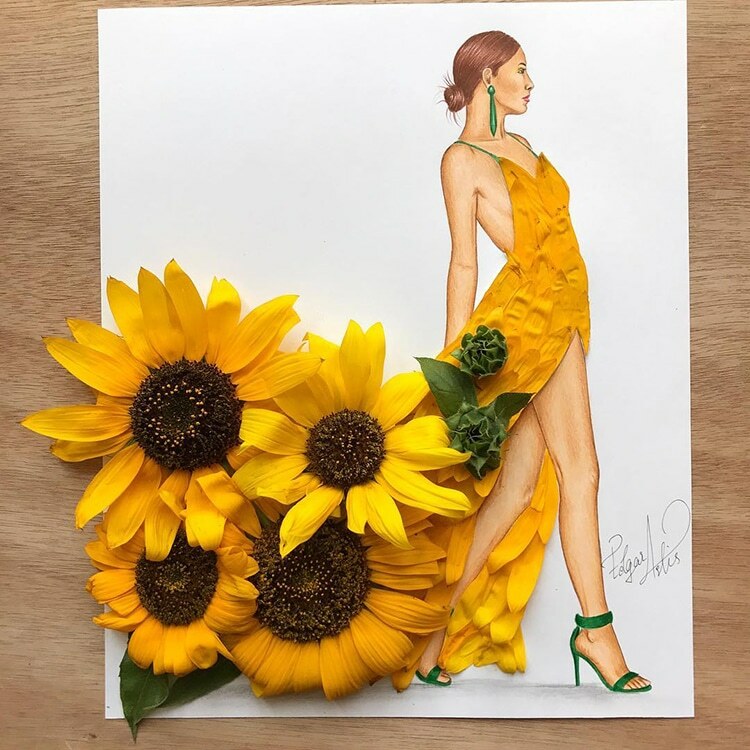 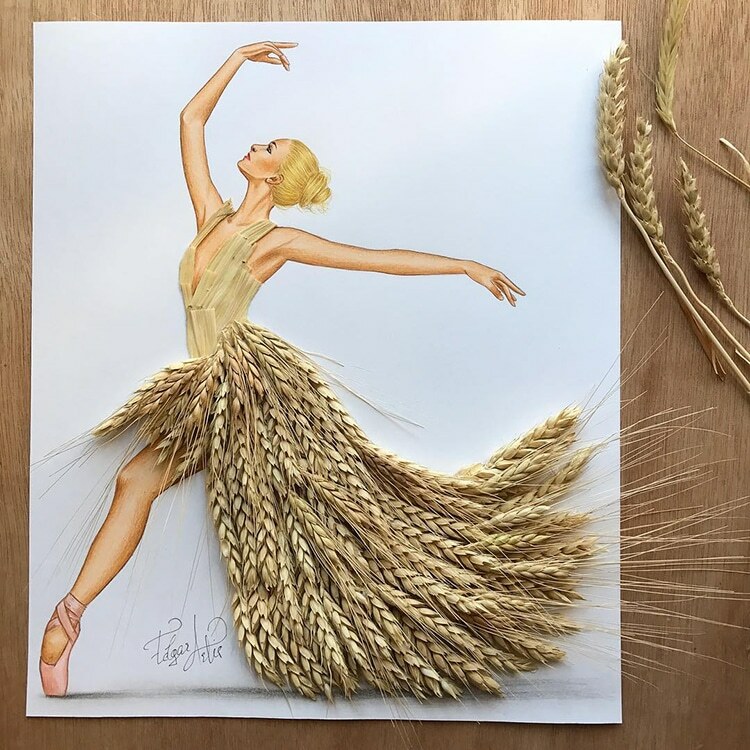 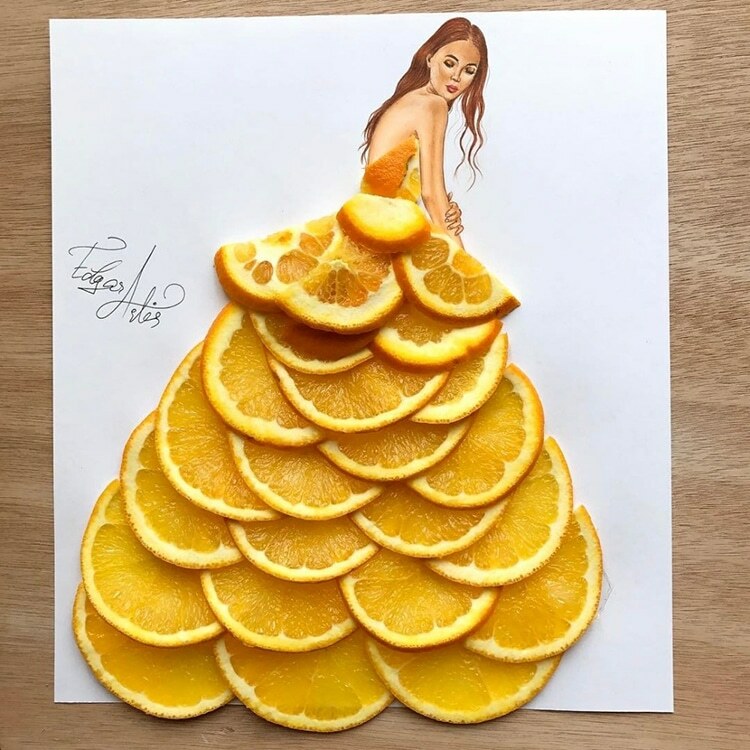 Armenian illustrator Edgar Artis playfully combines his pencil-drawn fashion illustrations with real life, miscellaneous objects. 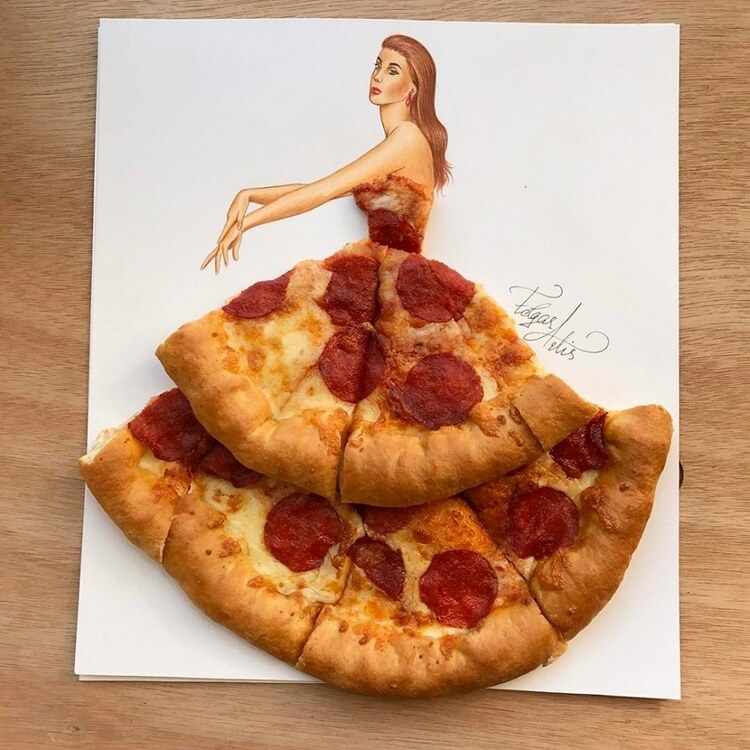 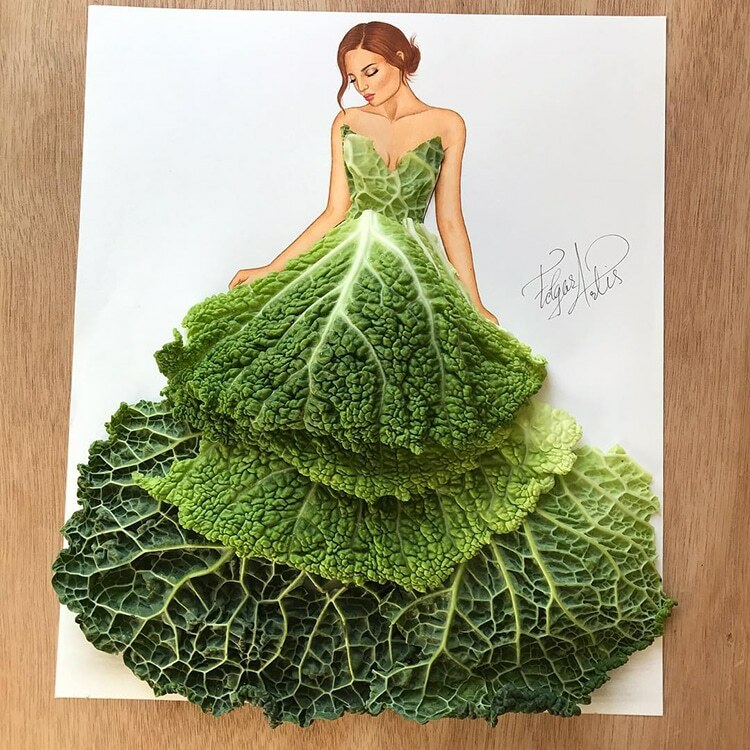 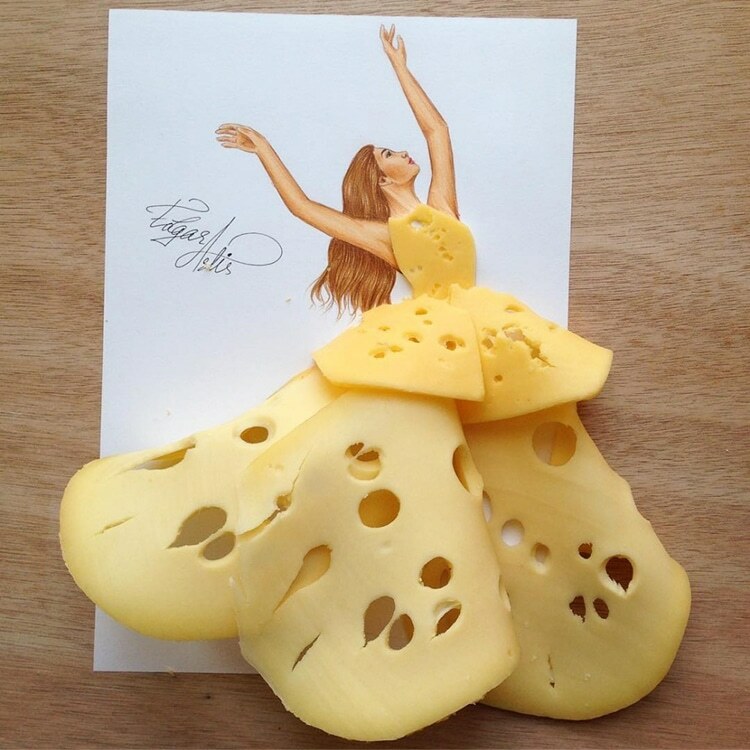 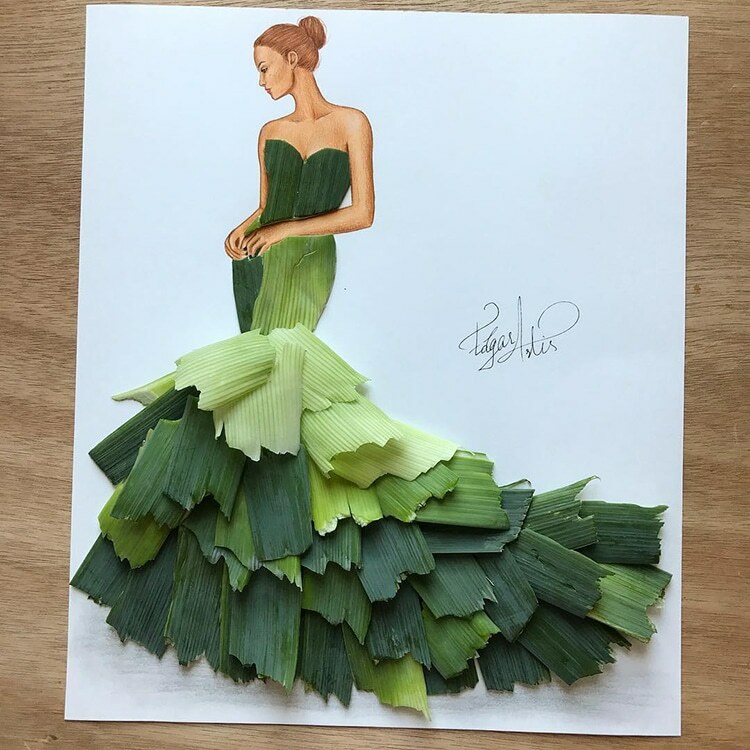 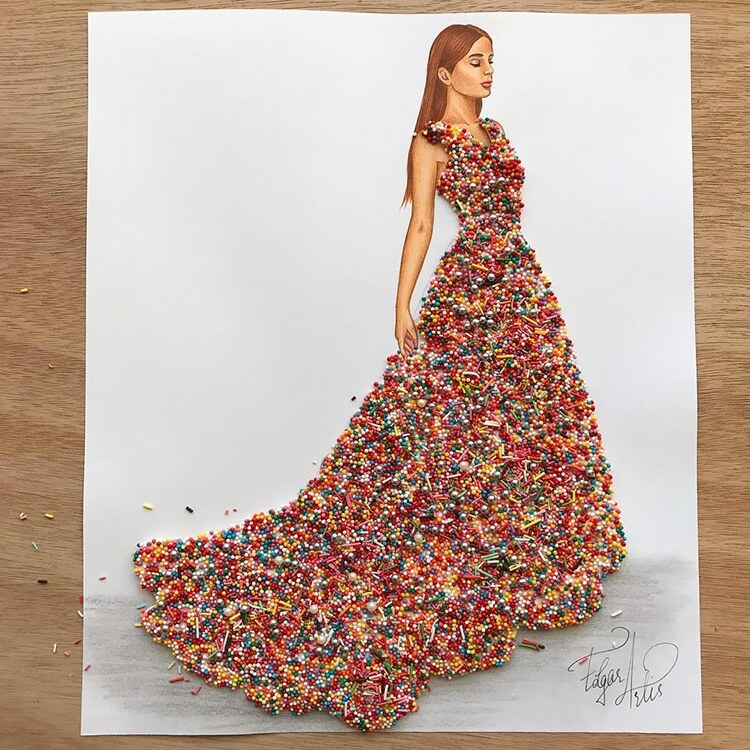 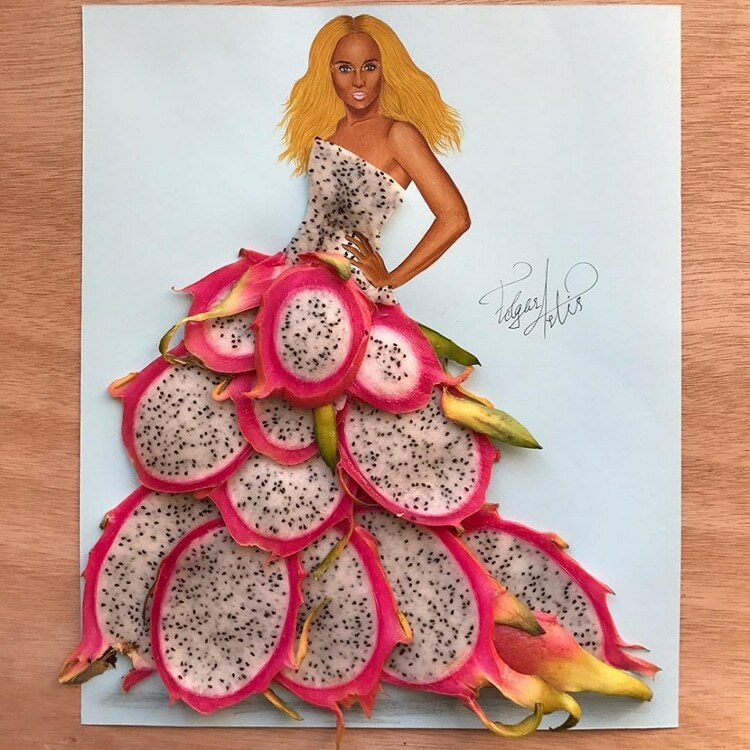 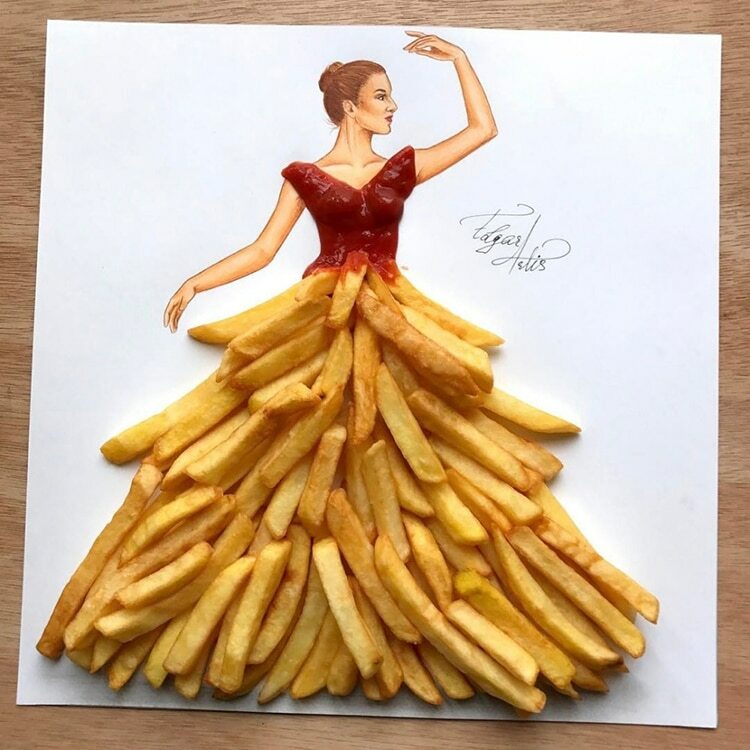 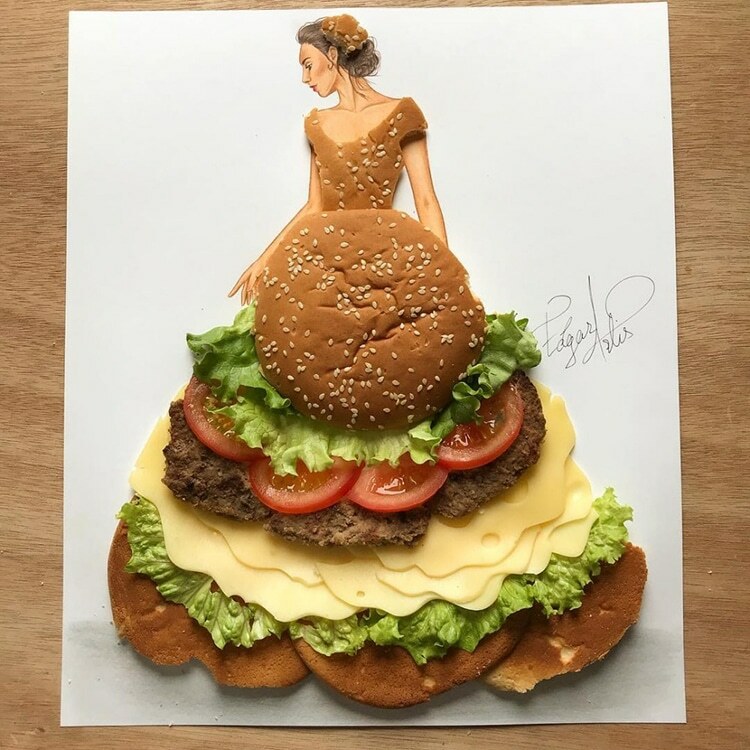 His work to date includes food art masterpieces such as a magnificent spaghetti ball gown, and a kiwi cocktail dress. 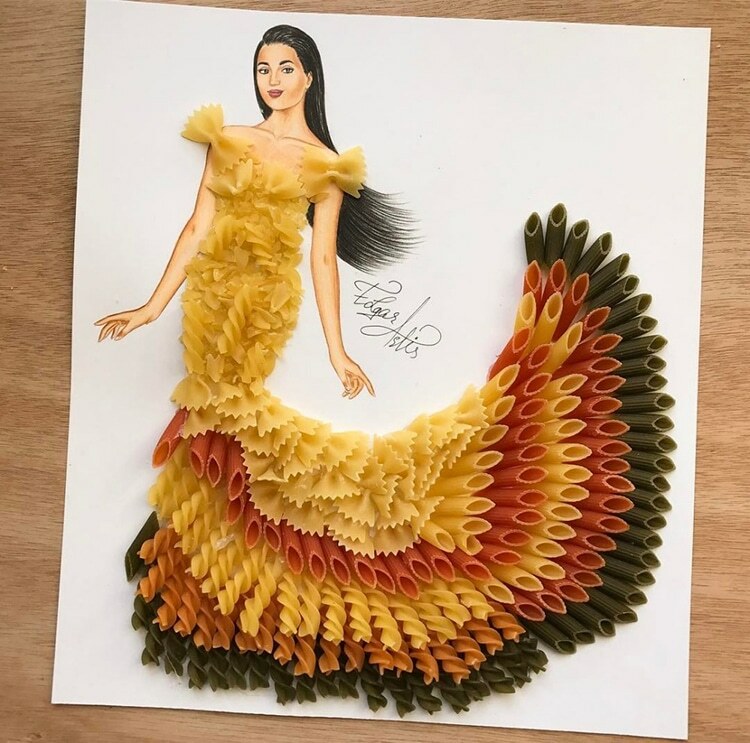 Other great examples include an elegant gown rendered from colored pencil shavings, and a puffy princess dress made from cotton wool balls. 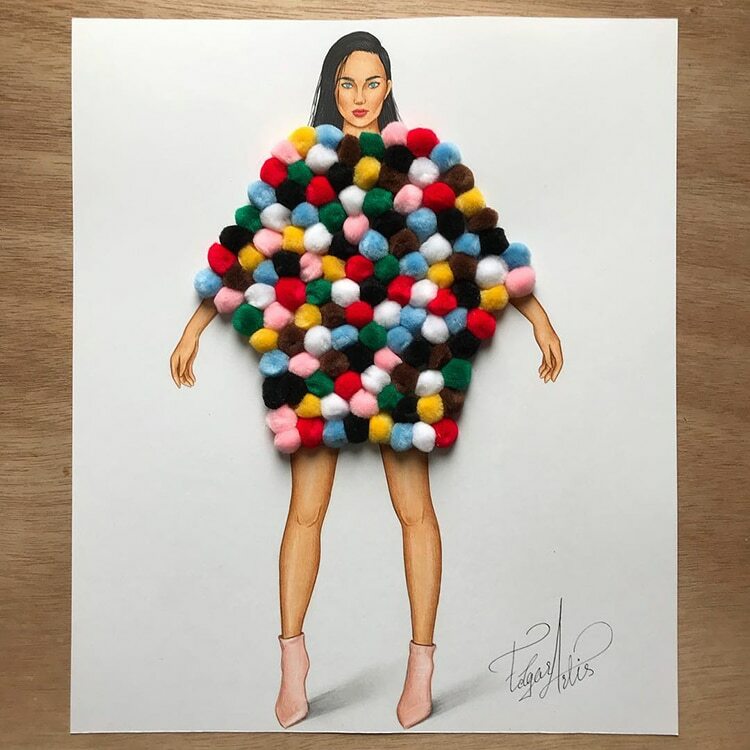 Artis’ most recent work continues to incorporate a wide range of found objects, which are cleverly positioned on hand-drawn, posing models to create three-dimensional ensembles worthy of the catwalk. 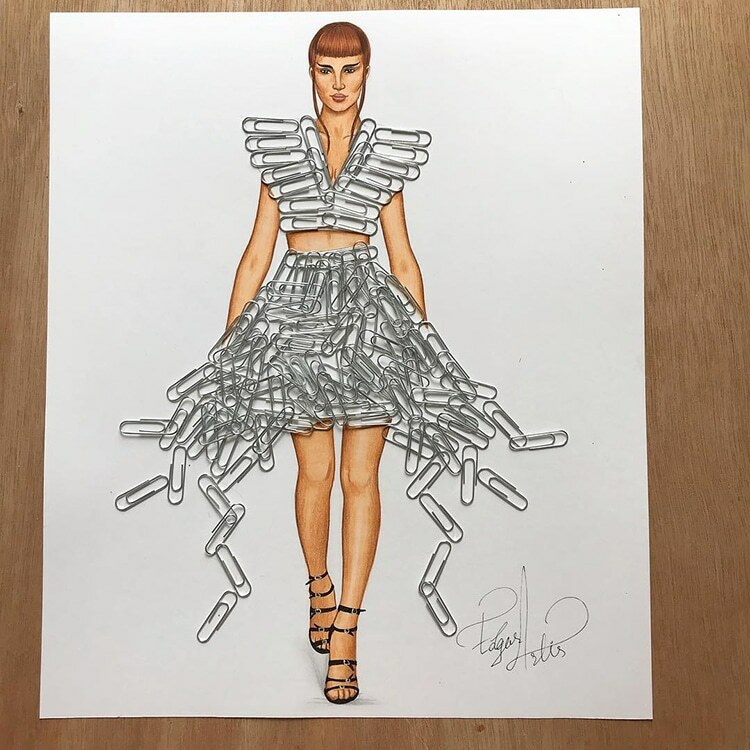 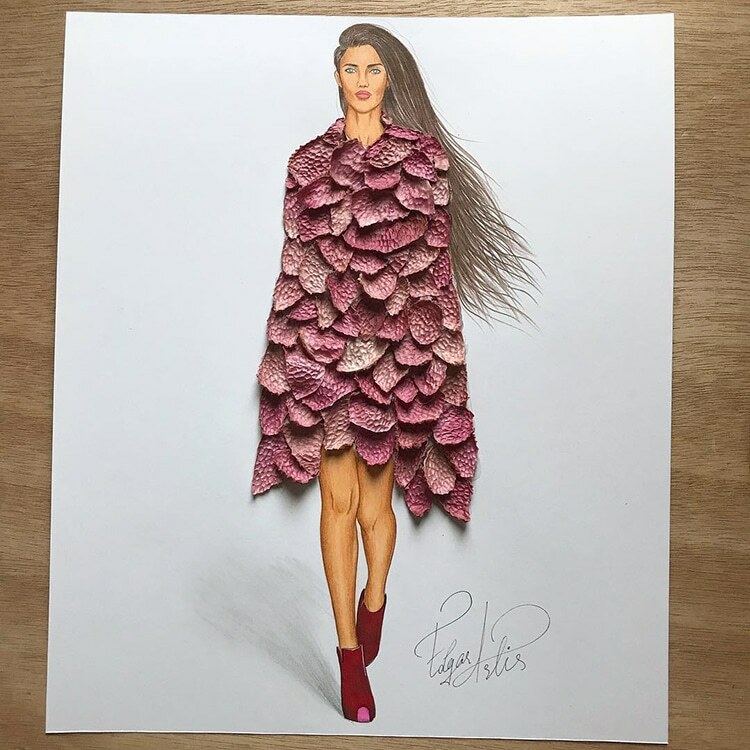 Keep up to date with Artis’ ever-evolving fashion illustrations on Instagram. 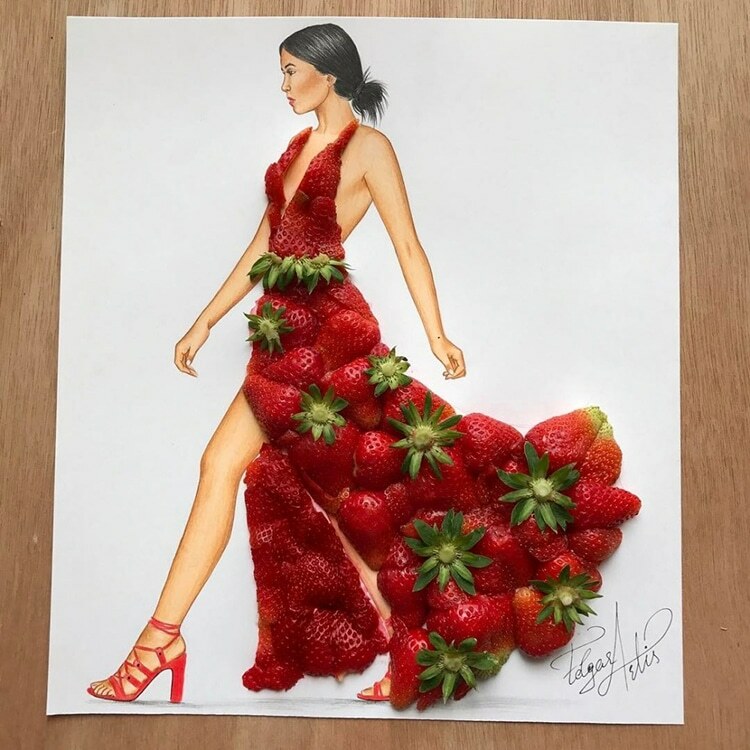 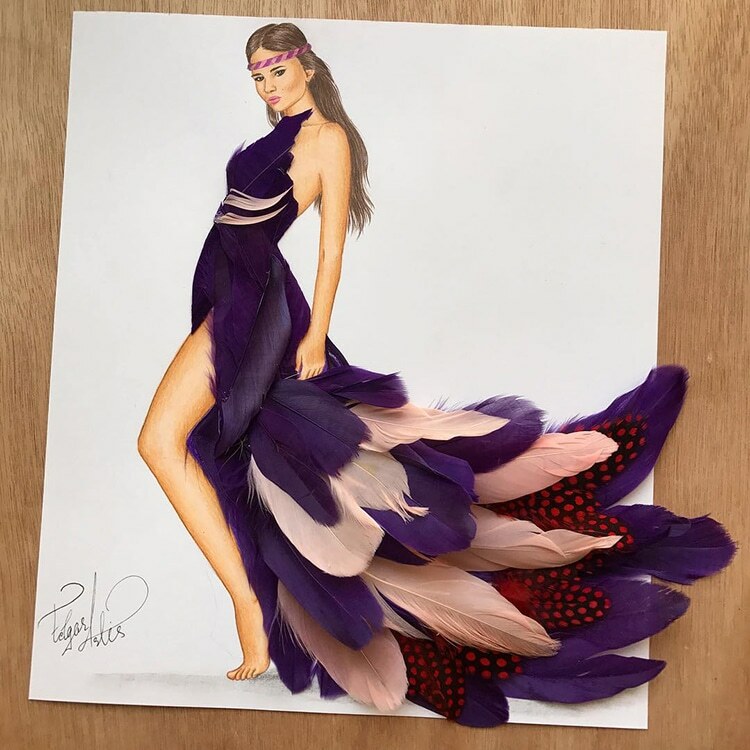 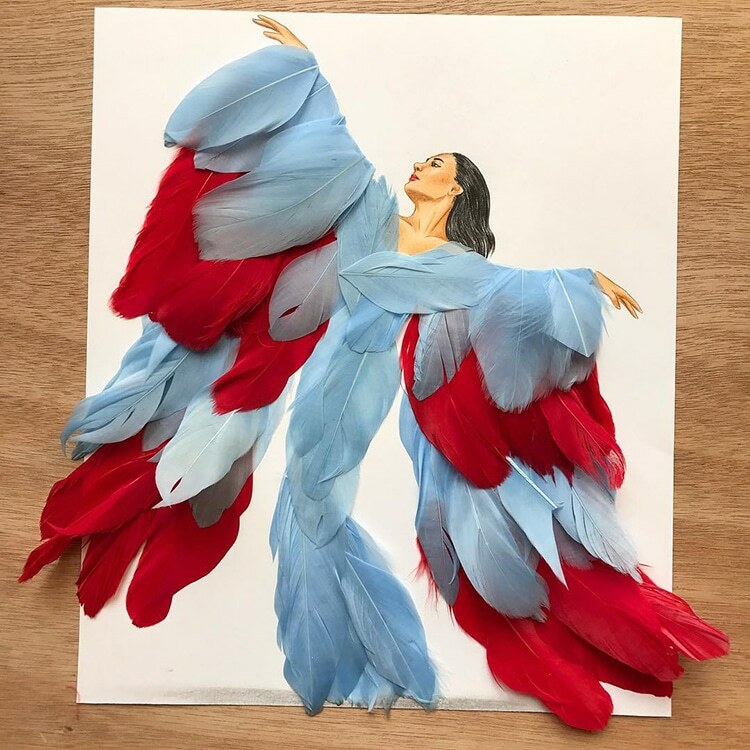 Fashion illustrator Edgar Artis continues to playfully incorporate found objects to create a quirky collection of evening dress drawings. 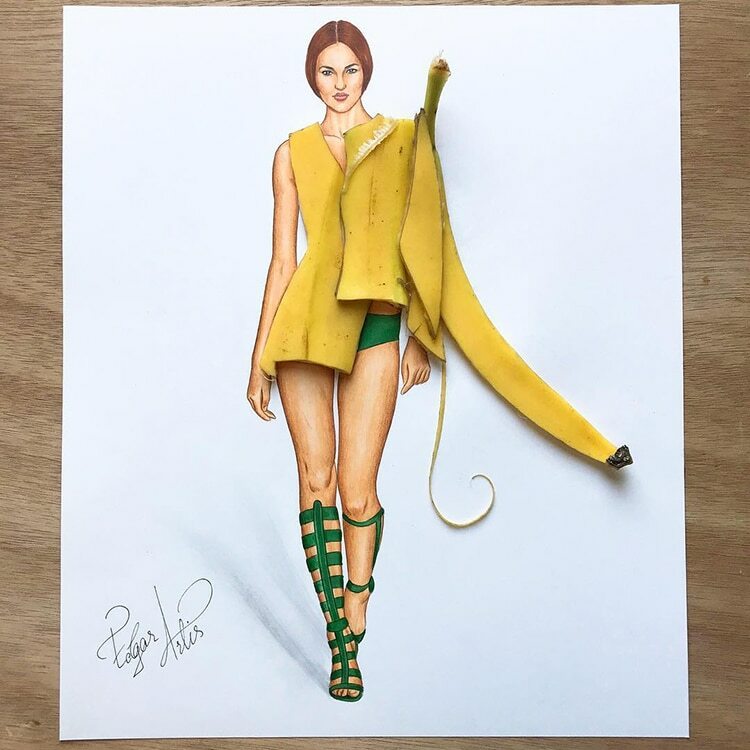 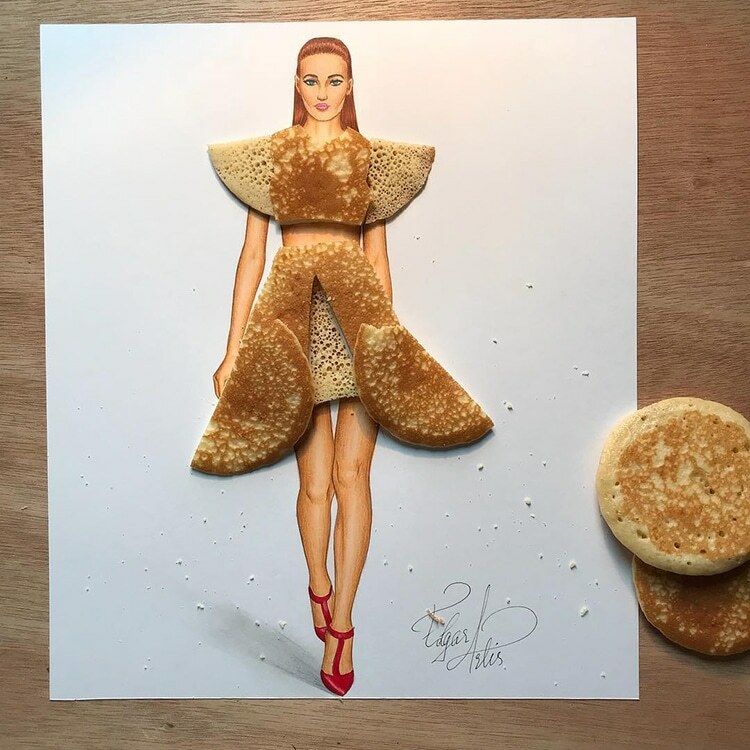 The 3D fashion illustrations are both whimsical and worthy of the catwalk.